I absolutely adore Lush cosmetics! My goodness, I could spend hours and oodles of cash in one of their shops. Their products have the best scents, and results ever. Every time I go in to get something specific, I leave the shop with at least one more product – no matter how much I try to resist! The only drawback is the steep prices 😦 (especially on a student budget which I was on at the time 😀 ). Oh and they have fabulous customer service! Someone is always there to answer your questions, and make suggestions. This is beginning to sound like a Lush ad… 😀 But I love, love, love it! So, I bought a small vial of tea tree oil, it occurred to me that I could add some lime juice (I’ve used that before on my face), and went online to see what ratios I could use to make a mix. I stumbled on this great article which has 5 different homemade options. 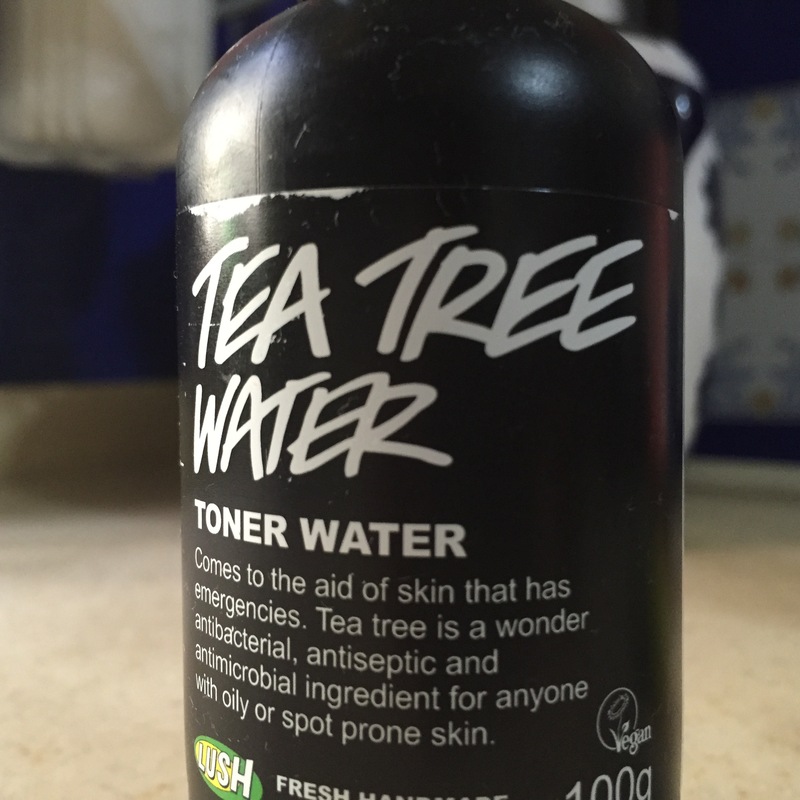 Of course, I picked the tea tree one. What was more? The article suggested adding apple cider vinegar (ACV). And guess what? I had just bought a bottle recently for use on my hair, so of course I was stoked. – Distilled water: The cleanest water you can get, this stuff is going on your face. 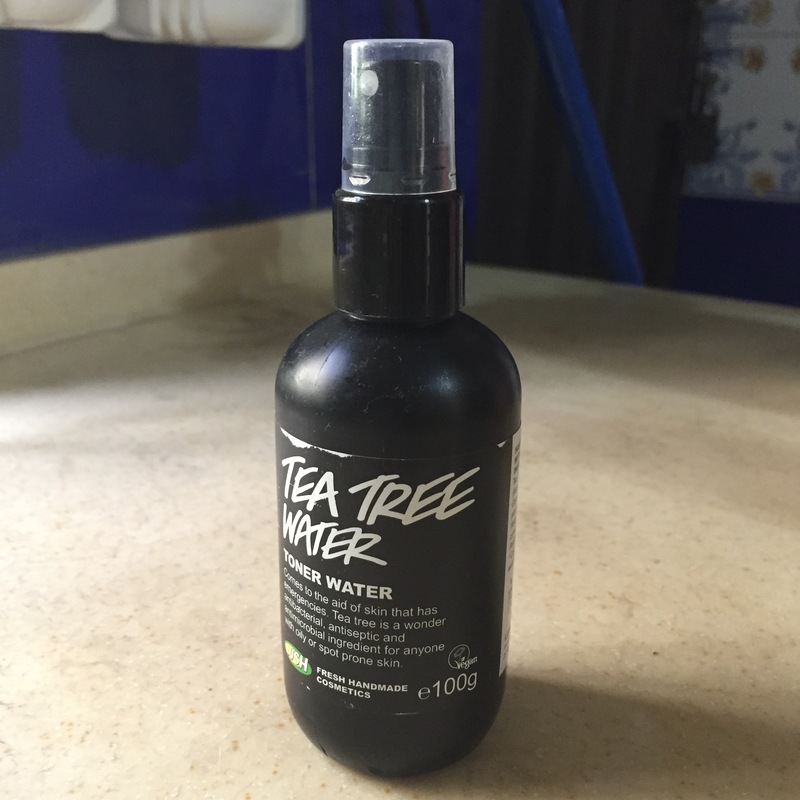 – Tea tree oil: You can get this at a pharmacy near you. I saw a 12 ml bottle at MedPlus for N1,900 (I recently came across a bigger bottle for a bit cheaper at Poise in Ikeja City Mall). Tea tree oil has strong anti-viral and anti-fungal properties. It’s great for drying out blackheads and whiteheads, and also for disinfecting pores. Do not use orally though! 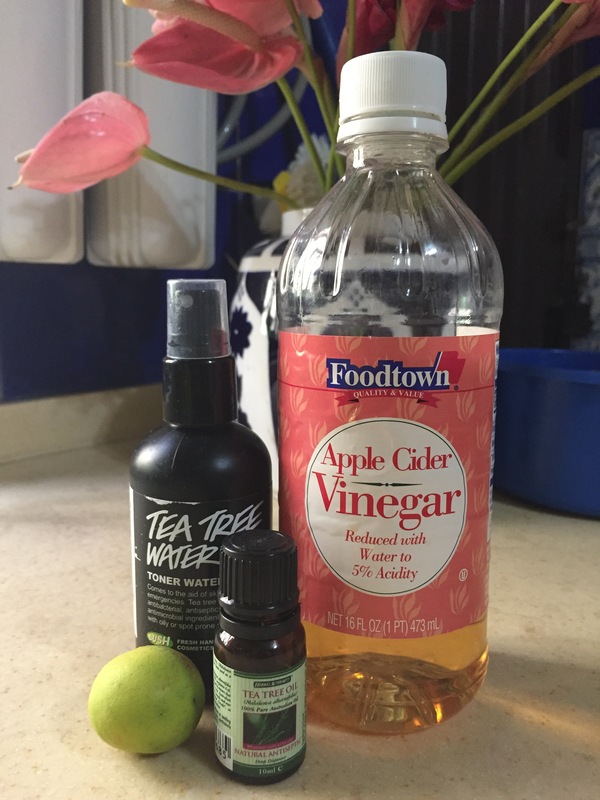 – Apple cider vinegar: This is optional, if you can’t find, don’t stress. There are a number of brands at Shoprite for this. I randomly selected one but can’t remember the price, but it was definitely under N1,000. Actually some recipes suggest ACV and water alone. Experiment and see what works for you. ACV unblocks pores, removes excess oil from skin, balances skin pH, and has antibacterial, antiviral, anti-fungal properties. – Lemon/lime juice: This one is very optional. I just decide to add this on a whim. You might want to skip it because it’s fresh (I used an actual squeezed lime), it’s perishable and can make the mix go off. This can cause reactions on your face. If you do include it make small batches an do not use for more than 1 week, definitely not more than 2. Although lemons and limes aren’t quite interchangeable, either works for me. – Spray bottle: Or some container of sorts. I just rinsed out the Lush bottle and reused it. To be honest, I just winged the mixing ratio but you might want to check here for exact ratios. Since it’s a topical thing, I suggest you try some on a small area of your face first to see if goes well with you. Please try this and lemme know how it works for you. 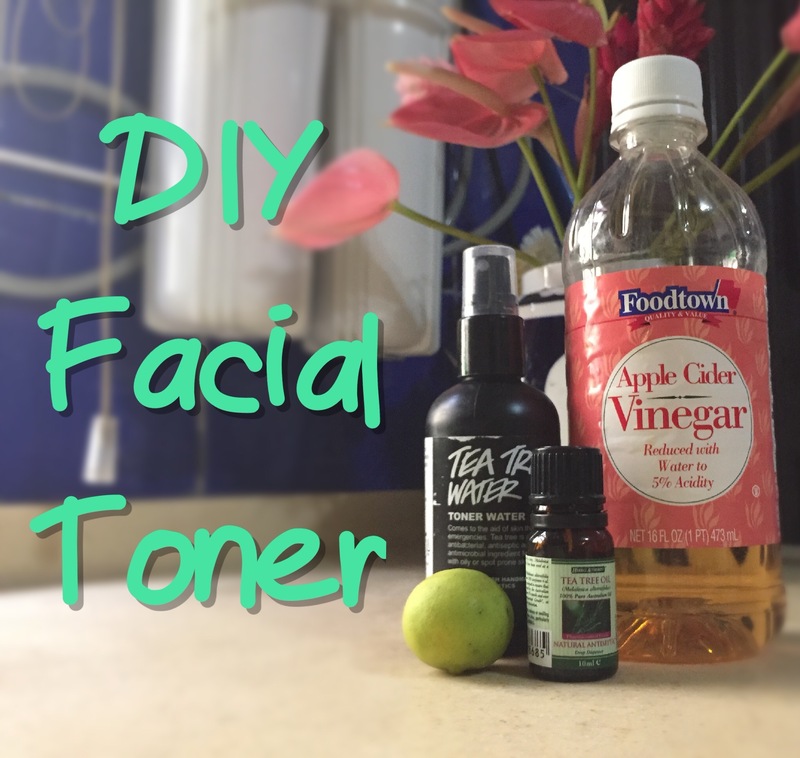 This entry was tagged apple cider vinegar, DIY facial toner, face cleanser, homemade recipe, Lush cosmetics, tea tree, tea tree oil, uses of apple cider vinegar. Bookmark the permalink.